Our winter (well, all year round to be honest) hand saviour in a bottle! Just launched from Elemis is this amazing hand and nail cream. It works wonders for any thirsty hands or just to maintain healthy hands all year round. I've been using it for about a week now and my hands have never felt so soft and hydrated. I've used it little and often, and to be honest to get fully moisturised hands you probably don't need to use it as much as I have been, I love the smell (magnolia and jasmine) and the feel of it! I've kept it in my handbag so whenever I need a hand cream fix its there. The hand and nail cream is the latest addition to Elemis' fantastic 'spa@home' body anti-ageing line. The way that it works is that when skin is exposed to extremes of temperatures it becomes easily dehydrated and dry. Hands in particular, are an area easy to neglect if you don't have a regular hand cream in your routine, but it is important to. Hands are one of the most prone areas of tell-tale signs of ageing to occur, they lose elasticity and easily get chapped which can result in the wrinkling or dullness of the skin on the hands which we do not want! So this is where the amazing Elemis product steps in to ensure our hands are looking their very best! It has been specially formulated with a combination of lipid-rich oils to ensure optimum hydration. This, combined with the silicon-free formula of the cream ensures that it works both on top of the skin for appearance, whilst also repairing and conditioning deep into the skin to keep hands and nails stronger and smoother constantly, it also doesn't leave any residue so your hands are not left feeling oily of greasy after use. The hand and nail cream is completely paraben free, and uses plant extracts as some of its ingredients. For a good sized bottle (100ml) the pro-radiance hand and nail cream is £22, an investment that will not disappoint! Available online and on counters, February 2012. Absolutely loving this limited edition set from our favourite Jessica nails, the set consists of two varnishes to create amazing three dimensional colour. You begin by applying colour on the left, 'Retro Revival', to give a clear glowing base, this only needs one coat (you might be wondering why it says 'Top Coat' on the bottle of this one, I was too, but on the website it confirms it is a base coat), then follow this with two coats of the silver 'Disco Diva' to give the most awesome colourful, shining, holographic nails. As with all Jessica polishes, they are amazingly chip proof and so easy to apply, which I think is partly down to the brush which is firm and thick so allows for it to be evenly applied. On the huge plus side, they dry really quickly too which is great if you don't have lots of time or are prone to smudging. Jessica also recommends that with all their polishes, you should paint both under and over the nail to seal the varnish, which is a really good tip to avoid chipping. Ultimately though, I just love the finish, it's something fun and unique, one of those nail varnishes where you can't stop looking at your hands. Sounds a bit weird, but I'm sure you know what I mean. Nic used the silver to tip her nails for an alternative french manicure and it looked amazing. Get the gorgeous duo whilst you can from Jessica Cosmetics online or in the UK you can get it from www.gerrardinternational.com for just over £20. Estee Lauder is soon to launch their new 'fluid makeup', with John Lewis already having the worldwide exclusive, so expect to see it on counters soon. Technically, it is a foundation, but I have only ever seen it referred to as 'fluid makeup', this is one of the new generations of water based foundations that seem to be increasingly on the rise. This product gives an incredibly lightweight and soft finish, and enhances skins luminosity and health. It also gives a fantastic amount of coverage, combatting redness and blemishes effectively without feeling like you have too much product on. There are a couple of important things to point out with this product - because it is water based you have to give it a really good shake before use otherwise it will come out watery and lumpy instead of an even consistency which is what you want, the other thing is that when this foundation is blended into the skin it blends about a good two shades darker than it first looks so it is essential that you try before you buy with this one because you could be in for a shock, I have been opting for fingers over a brush as I find the warmth of my hands really helps it to blend and also makes application more malleable. I have also found myself using quite a lot of this product in one application to get my desired finish, it is perfect for building up colour, but this will use up a fair bit of product, I found I needed a couple of good squeezes to give an even, all-over coverage, however I just love the finish it gives and since wearing it, several people have asked what foundation I had on which is always a good sign! I was also really pleased to see what Lauder had done with their packaging, many of their foundations, like Double Wear, come in glass containers with screw lids which makes it both kit unfriendly and wasteful as you could end up using more product by tipping too much out, this one however comes in a plastic bottle with a fine nozzle so you can control exactly how much you want! Perfect. £27.00 for 30ml. Available at John Lewis now. I am a huge fan of this metallic, multi-dimensional nail colour and I love Chanel 'Peridot' (see pic above) So when I saw that Jessica had one that is pretty much the perfect match in their colour 'Iridescent Eye', you can imagine how pleased I was. Don't get me wrong, I do love the Chanel varnishes in terms of their beautiful colour range, and of course with anything Chanel you are paying for the luxury, which they certainly do deliver. However, I've said it before and I will say it once more - Jessica Nail Polish cannot be faulted, I love the colours and the finish, they are so easy and quick to use, and they are virtually chip proof. I much prefer the brush on the Jessica polishes, I find the Chanel one a little thin and unfortunately I find Chanel polishes chip very easily! In terms of the finish of this particular golden-green colour they are pretty much exact, if they were in the same unlabelled bottle then you would think they were the same polish, both off and on the nail. If you prefer the idea of Chanel's sophistication then of course you pay for that, as the Chanel one is £17.50, Jessica, on the other hand, not only comes in a bigger bottle (0.5ml compared to Chanel's 0.4), but is also cheaper £9.75, or even less in the U.S at $7.50 - bargain! Get the Jessica one here in the U.K and the Chanel one on their website here, or on counters nationwide. Love the colour so much, what do you guys think? A firm product of the moment has got to be the Pure Radiant Tinted Moisturiser from NARS. It is the perfect boost for skin both in terms of colour and of luminosity. 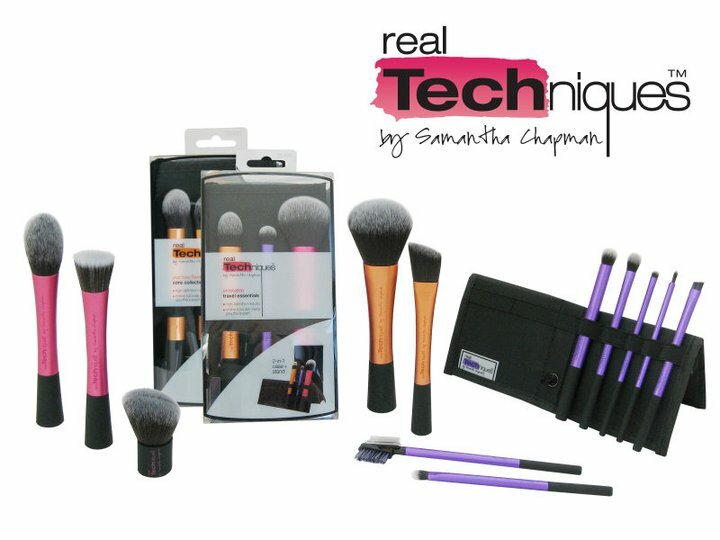 The product is due to launch in Spring 2012 and I'm sure it will be flying off the shelves because it is just divine! I've been using it in place of foundation recently, which is something I tend to do anyway when my skin is in good shape or I don't want a full on make-up look, and I am so loving its finish. It has a pretty lightweight formula and blends nicely into the skin, leaving it feeling rejuvinated and hydrated and giving a gorgeous, healthy glow in terms of appearance. For me it has just the right amount of colour - a small amount of coverage, but I think its main focus is to get skin looking radiant, hydrated and bright, whilst the colour keeps the skin even and prevents dullness. The amazing thing about this tinted moisturiser is that it comes in a mighty nine shades which means, unlike other tints that come in only a few colours, there is such a great variety to chose from and you can therefore get the best colour tone for your skin and adding to the finished result looking natural. The colour I have been using is 'St Moritz' - one of the medium shades. Although I haven't been using it for 4 weeks, it claims to reduce appearance of pigmentation and dark spots in this time, which sounds promising considering my initial love for this product, and the effectiveness it has already delivered. I will get back to you on that one, but if it does deliver this too, then it will be a 'holy grail' product. It is also SPF 30 which is a huge bonus, keeping the skin well protected from the sun, and although the sun is always about, this will be a great product for those natural and dewy summer looks. As well as this it has anti-ageing elements, so the product is simultaneously make-up and skincare with its collagen boosting, soothing and anti-ageing benefits. See it on the counters soon, I'm excited... can you tell! This is a beautiful and handy palette from Smashbox for all you brown eyed people out there. It is a great starter palette that is perfect for everyday use, because these six shadows are each carefully selected to bring out the best in brown eyes, both as shadows on their own, and also with the variety of looks you can create using more than one shadow. The shadows come in durable packaging, and the shadows themselves are quite large in size which is a bonus if this is a palette you are constantly reaching for. Together they are created to compliment brown eyes whichever way you wear them, the palette consists of 4 beautiful shimmery shadows, with the two other cream and navy shades coming in matte formula which is great for creating a base and adding definition. The top three shadows are labelled as the 'soft trio', a collection of shimmery browns and taupes, great for creating gorgeous looks for every day or for a more subtle night time look. The bottom line of shadows are the 'smoky trio' which you can use for a more dramatic and dark look, although I don't think you have to stick to this necessarily, they are a good guideline and work perfectly as trio's, but I think you can mix them up to create equally as amazing looks. As for the shadow quality itself, it is pretty awesome, the pigmentation is great and I love how shimmery and light reflective the iridescent ones are. They don't drop and blend really well. Most importantly though it's the colours that I love in this set, It is brilliant that Smashbox came up with specific eye colour palettes (blue and hazel are available to) so once you invest in this palette you would absolutely get your moneys worth. The only flaw is there is not a green eye palette as yet, if they had a green one then it would make for a wicked series of staple shadows for a kit. Smashbox is available at Debenhams in the UK and Sephora elsewhere. 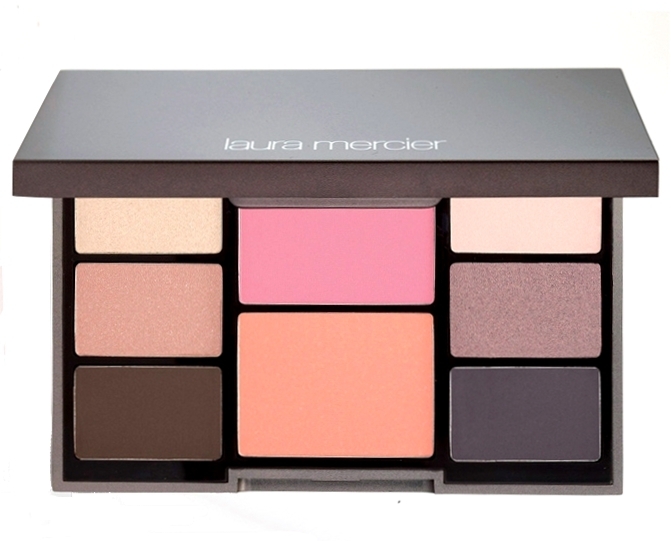 How absolutely beautiful is this palette from Laura Mercier?! We love it here in the studio. It is part of Laura Mercier's Lingerie Spring collection therefore limited edition, so we feel very fortunate to have one in our hands. It is the perfect palette for subtle hits of warm and glowing colour, great for bringing about spring-like youthfulness all year round. In the palette are six shades for the eyes, most of which are exclusive to this palette with the exception of African Violet and Black Plum. The two blushers, One pink toned, one peach toned, are a versatile duo to have in one set for a gorgeous and healthy blush. Both are perfect for everyday, I would pair the peach toned blush with a stronger lip or eye look and the pink toned with a softer fresh make-up finish. The shadows are the most beautiful and luxurious warm toned colours, from which you can create a multitude of looks. Within the six there are great options for defining, contouring, base colours and options to create both natural and sumptuous smokey looks from the different combinations. All products have brilliant staying power, a smooth finish, strong pigmentation and blend softly. There is a very sophisticated air about this palette, from the sleek case the products come in, to the richness of the products inside. I love how all the colours are totally wearable too, making for a good investment. NIP + FAB is a body and beauty range formed by the creator of Rodial, Maria Hatzistefanis. They offer all sorts of different products from cellulite combatting to eye and skin brightening and plumping. This shower oil has been my go-to bath product of the moment and it is fantastic for giving skin a gorgeous smooth feel and a glowing finish. It simultaneously cleanses the skin to maintain skins natural moisture balance. It is so gorgeously rich, and smells like oranges and mandarins, with the orange element toning, energising and awakening the skin, and the mandarin element also encourages circulation and can reduce appearance of lines with the addition of gentle oils to cleanse and protect. It's a great pick me up for skin, helping to eradicating dryness and giving skin a healthy glow whilst also keeping skin soft and supple. 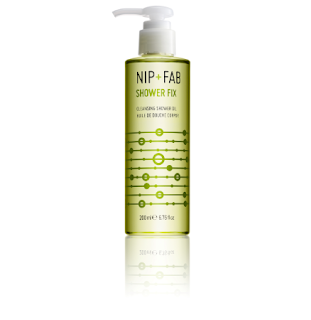 This is the first NIP + FAB product I have tried and it totally does what it sets out to do, so I can't wait to try more products from the range which I hope will be equally as good! For £12.25 it is quite expensive for a shower product so it is fortunate that the bottle goes a long way, only a little amount of product is needed for all over application. Seaspray eyes and pink cheeks. The Topshop nail polish are pretty awesome, they are brilliant to work with, apply evenly and just one coat is enough (although I do two coats for extra shine). They dry on the nail quickly and the colour range is fabulous. I love the bright and glossy finish to Dead Ringer, it's a perfect pick me up for this dull February. As for the Crackle Topcoat, I think I have mentioned before, I am not a huge fan of that finish personally, but for those that do like it, this one is a winner. The finish is sparkly and iridescent but also matte. My only flaw with these polishes is that they aren't amazingly chip proof and it only takes a day or so for scuffing and chipping to appear. Having said that, if you like painting your nails regularly then this isn't a problem. Available in Topshops stores, £6. These are great products. Gorgeously pigmented and shimmery they make for a perfect base for eyeshadows to add extra depth and intensity, or they look great on their own for a quick and easy eyeshadow fix. Products like these are great for a summery glowing look or for really building up a smokey eye when used as a base. I love these two colours, both pretty and shimmery to make the eyes stand out. They are so soft that it is simple to run all over the lid and under the eye too, they are also wonderfully smudgy so you can blend with fingers or a brush to get your desired finished. At £7.50 each these are great value. Nic and I had a lovely tweet from the gorgeous Alesha Dixon yesterday and as you may know she is the face of the new AVON Ideal Flawless Foundation. Which, I then realised hadn't yet featured on the blog. When writing a post I usually google the product to find out other peoples experiences, this helps to either validate my own opinions or to make me think a little more. While googling I came across this brilliant backstage video of the 'Ideal Flawless' shoot. 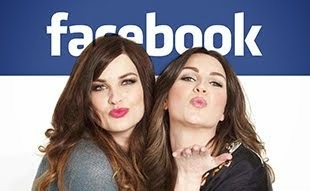 I urge you to watch this, it is full of great make-up tips from the very lovely Liz Pugh and Alesha's skin looks heavenly. Such tips validate my own love of lipstick on cheeks! AVON Ideal Flawless Foundation is Oil-Free with an SPF15. It is £12.00 for 30ml and available from Avon or your local Avon representative. 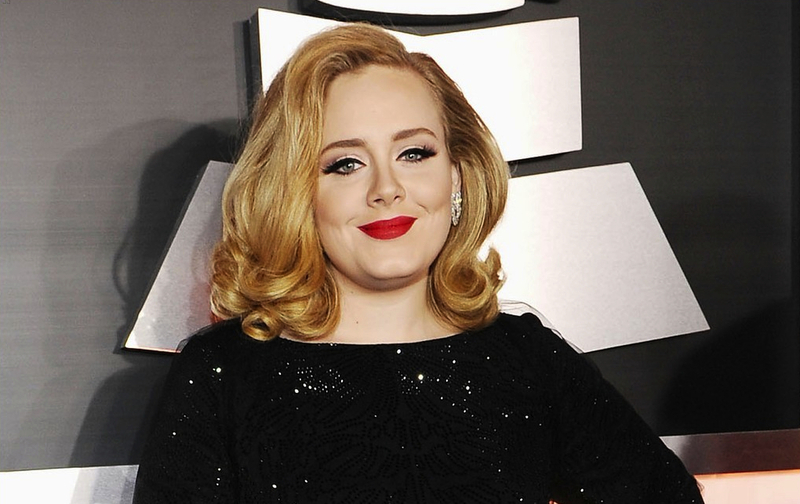 It comes in 16 shades, from very pale to darker that Alesha. Nic and I always like to see cosmetic brands embrace darker and lighter skin tones, as they should. Ideal Flawless comes in a slick glass bottle with a black cap not dissimilar to some other prestige brands. It looks expensive and classy on the dressing table. The texture of the product itself feels smooth and moisturising. It blends into skin perfectly without looking cakey or thick but has incredible coverage. Due to the oil-free formulation it is suitable for all skin types and does set so you need to work quickly. Just like Liz Pugh in the video (above), I think you get optimum results from this foundation if you apply it with your hands or a buffing brush. A great foundation for the price and lets hope we see more brands incorporating shades for darker skin. It has been a very exciting week for Real Techniques. Finally our online store opened to US customers and then Boots announced that they will be stocking them as of the 15th February. Select Boots stores will stock RT.